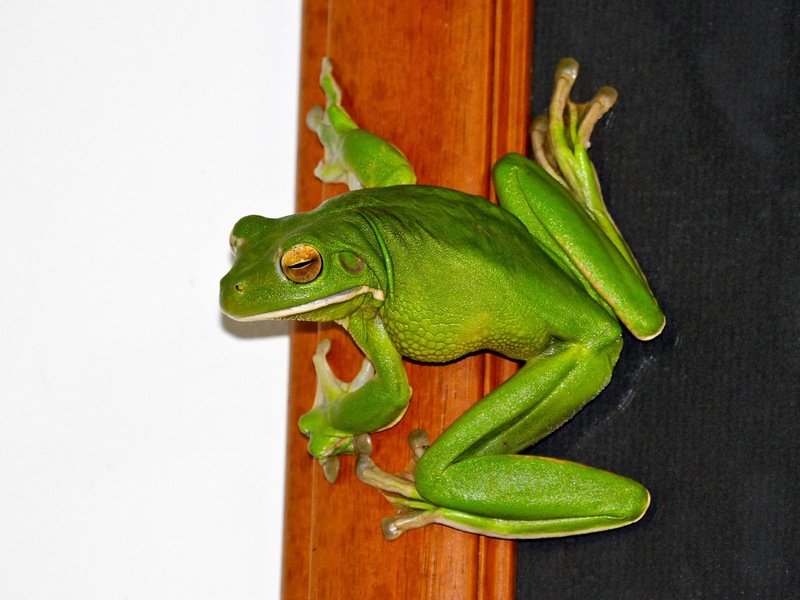 Red Mill House - Daintree Birdwatching: What a fabulous time of year! What a fabulous time of year! Warm days, warmish nights, no rain, low humidity, no mosquitoes and birds galore. It doesn't get much better than birding in Daintree and the Wet Tropics of Tropical North Queensland at this time of year. Red Mill House is full of guests from around the world and it has been great fun showing them some of our local birds. 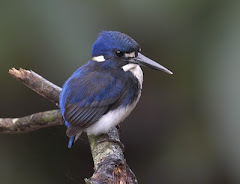 The Daintree River is always the best place for birding locally and both Murray, the Daintree Boatman, and Sauce from Daintree River Wildwatch have been having excellent runs on the river. Papuan Frogmouth are nesting in several locations, Black Bittern has returned for the season, Great-billed Heron are regularly seen, several cuckoo species, Cicadabird and many more. Little Kingfisher seems to be visible on about half the mornings. 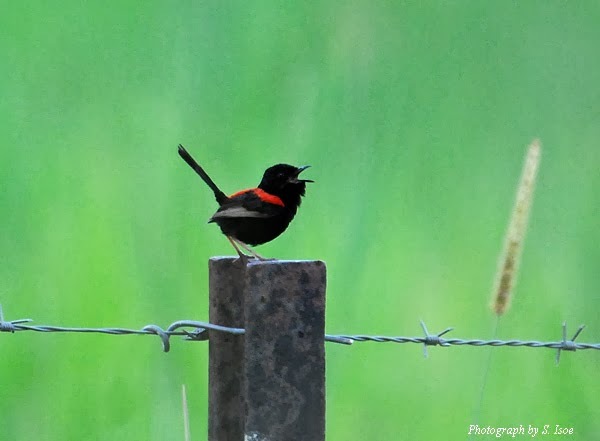 The end of Stewart Creek Rd has given us treats like Yellow-breasted Boatbill, Superb Fruit-Dove, Satin Flycatcher, all the Monarchs, Grey Whistler, Golden Whistler, Red-backed Fairywren etc. 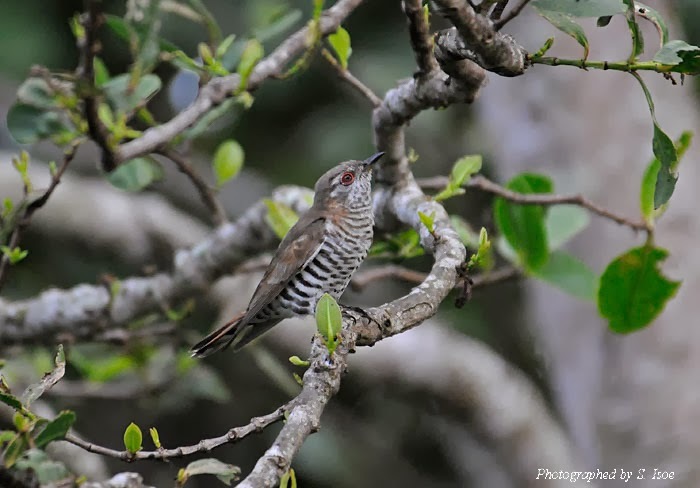 Just out of Daintree township on the first part of Stewart Creek Rd have been Lovely Fairywren, Channel-billed Cuckoo, nesting Papuan Frogmouth and nesting Double-eyed Fig-Parrot, Leaden Flycatcher, Little Bronze-Cuckoo and many more. North of the Daintree River there have been nice Cassowary sightings with a guest taking some of the nicest footage we have seen of two adults and little stripy chick playing in the water at Marrdja Boardwalk. Just beautiful! The Daintree Saltwater Barramundi farm are happy for birders to visit the ponds for a small fee. Many waders, raptors, terns, ducks, pelicans, egrets, stilts etc can be seen and photographed at these fish ponds. 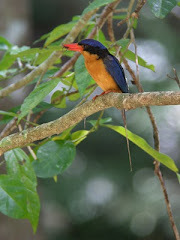 In the gardens of Red Mill House we have a pair of Azure Kingfisher on the pond each day and we wake to the calls of Brush Cuckoo, Little Bronze-Cuckoo, Cicadabird, Yellow Oriole, Macleay's Honeyeater, Australian Koel and others each morning. It doesn't get much better! While it is dry at present, the signs of an impending rainy season are growing. We have nine Giant White-lipped Green Tree-frogs in the lounge room, hiding behind the paintings during the day and making their way to the yard and pond after dark. Every morning at about 4am we can hear the 'plop, plop, plop' as they make their way back to the safety of the house. They are just starting to call, which is lovely - not long before they drive us mad! We love them! 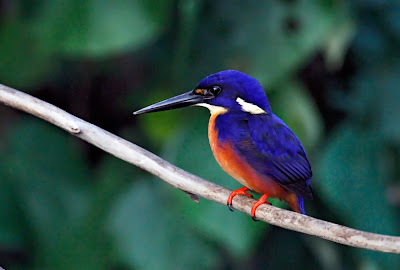 All our summer migrants seem to have arrived except the much-anticipated Buff-breasted Paradise Kingfisher. A matter of days, I'm sure as a couple have been recorded passing through the region already.